Jim Lauderdale On Mountain Stage The country and bluegrass master performs material from his latest release, Patchwork River. 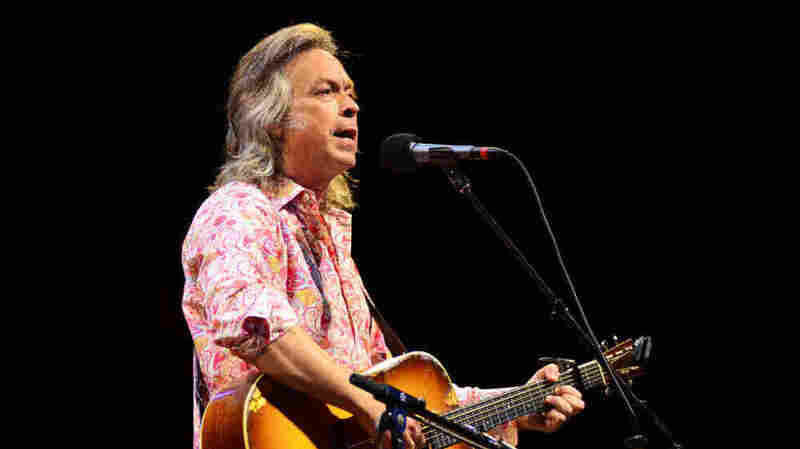 A performer who perhaps best personifies the genre known as Americana, Jim Lauderdale has seen success in both country music and bluegrass. As a young man, Lauderdale studied acting at the North Carolina School of the Arts, but before long found himself in a music career that would take him all over the American soundscape. Along the way, he's earned a place as one of Nashville's most sought-after songwriters, with tunes recorded by Patty Loveless, George Jones, The Dixie Chicks, Kathy Mattea, Lee Ann Womack and Vince Gill. Lauderdale has toured alongside Lucinda Williams, Mary Chapin Carpenter, Rhonda Vincent and Elvis Costello, among others. And he's won two Grammy Awards, first in 2002 with Dr. Ralph Stanley for Lost in the Lonesome Pines and then in 2008 for The Bluegrass Diaries. Lauderdale's latest release, Patchwork River, is his second collaboration with Grateful Dead lyricist Robert Hunter. This show originally aired on October 26, 2011.